Posted on May 24, 2011 at 14:41. Installing our workstations just got easier. 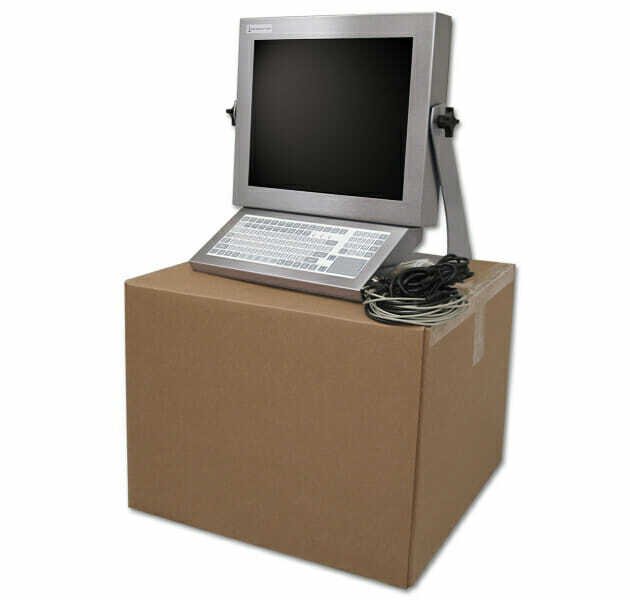 For $85, we will assemble and test your workstation at our factory then ship the product to you in a single box. There are numerous options that we offer for use with our Universal Mount Monitors, including keyboards, KVM Extenders, PC Enclosures, mounting options, and cover plates. So, installing our Universal Mount Monitor workstation configurations can get complicated for first-time users. This service option takes care of the hard parts so installation can be quick and simple. We manufacture and stock our products in volume so they’re ready for immediate shipment. So when a customer places an order each component usually ships in its own separate box and must be assembled at the customer’s factory. However, with our new service option we will do most of the work for you at our factory. All you have to do is remove the assembled workstation from the box, mount it, and connect the cables to the computer or thin client.